This is what I think is NZ’s finest Sauvignon Blanc. Period. When I tried it back in November it was still coming together, but now, six months later, it has settled down. 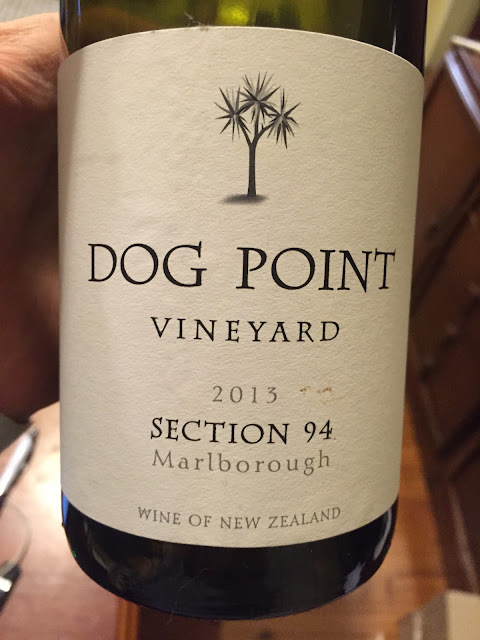 It’s now one of the best Dog Point Section 94’s to date, up there with the ’11 and ’09 vintages. What makes this so good is the balance of fruit and winemaking derived complexity. It smells of creamy, mealy, oak and yeast characters, stirred in with a dash of dill, white pepper and gooseberry varietal Savvy characters. The palate, too, is both creamy and rich, without ever losing sight of its herbal, angular and firmly acidic Marlborough Sauv form. That is all backed with late creamed asparagus and a long finish for good measure. Clever, long and delicious, this is first rate stuff. It’s Sauvignon Blanc for Burgundy drinkers, and I’d drink this over loads of other wines – big yes! Drink: 2015-2022. 18.7/20, 95/100, 14%, Cork, $40ish. Would I buy it? Absolutely.